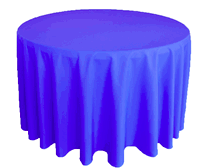 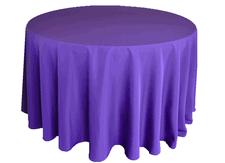 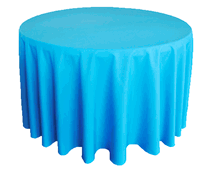 Solid colored polyester round tablecloths are a staple for any event. 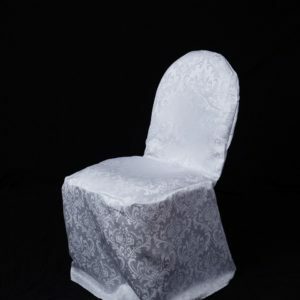 Can be used for formal or casual purposes. 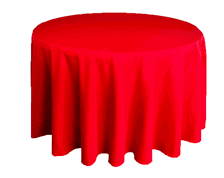 Easy to dress up or keep simple. 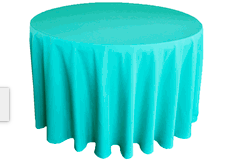 Coordinate with matching napkins, runners and chair covers to complete whatever look you desire. SKU: N/A. 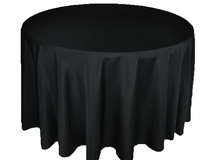 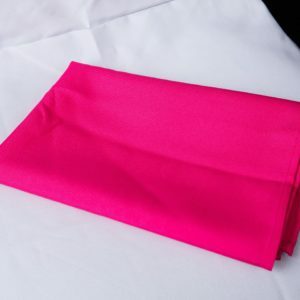 Availability: In stock Size: N/A Category: Tablecloths. 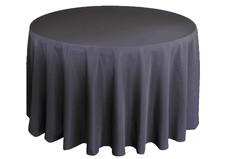 Tags: 132", polyester, round, tablecloth. 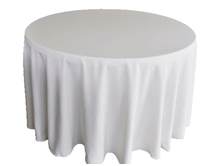 Round Polyester solid color 132″ linen tablecloth is made of high quality heavy duty polyester material with a beautiful hemmed edge. 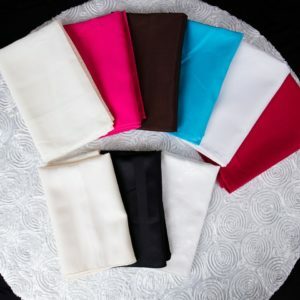 Available in 15 colors.